Tube roll paper is an industrial paper and thin steel paper. The basis weight is 65gsm and 145gsm. Thickness 0.1-0.2mm. The yarn tube board has a basis weight of 85-510gsm. The paper is smooth and even. Tube roll paper has good water resistance. In order to make a clear distinction between the rows of yarns on the spinning machine, the dyeings are often dyed in a variety of different colors and have good color fastness. 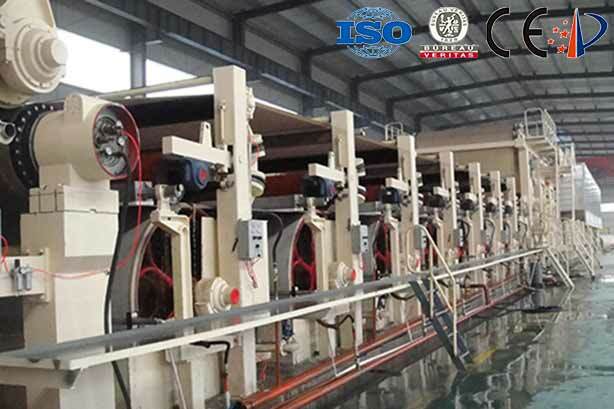 Tube Paper Production Line uses bleached or unbleached chemical wood pulp as raw material, free beating and dyeing, coloring, paper making on a fourdrinier tube roll paper making machine, and then calendering and rewinding into a web type, further processing into light and easy to use Bobbin.